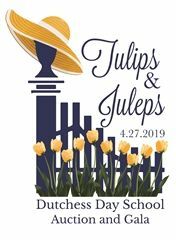 Dutchess Day School is an elementary and middle school that provides a strong academic foundation, values children’s natural curiosity, and fosters an enduring enthusiasm for learning. In an atmosphere of trust and mutual respect, students are encouraged to take intellectual, athletic, and artistic risks and to develop independence, confidence, and imagination. Join us for our auction and gala! Tickets may be purchased through this link!